When a Broadway show closes after just 13 days, what kind of clown would try to turn it into a film? George Clooney, come on down! But seriously, Clooney has hired Lucy Prebble to adapt her own play, "Enron," for the big screen, with an eye toward directing it himself, reported the Guardian. Whether or not he'll star is another question. "Enron," which of course tells the story of the downfall of one of the greatest frauds in American business history, was a smash bit in London, earning rave reviews and multiple awards. But here in the states, it survived on Broadway for a scant 15 performances, with the Guardian's theater critic, Michael Billington, suggesting that it's future was sealed by The New York Times' review, which called the show a "flashy but labored economics lesson." 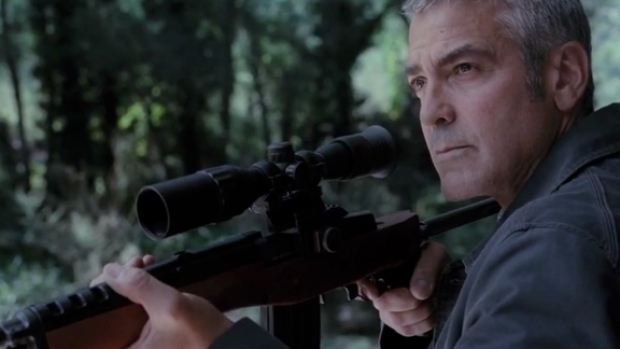 In any event, we largely trust the Clooney -Dog's instincts. We loved his directorial debut, "Confessions of a Dangerous Mind," even if nobody else did; and while "Good Night, and Good Luck" was a very well made film, "Leatherheads" was a stink bomb. So he's 2-for-3, which is a lot better than most directors.